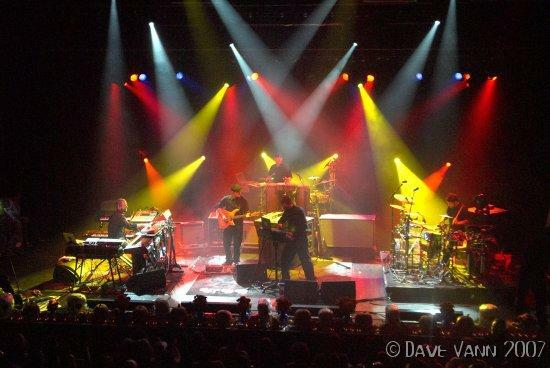 STS9 combines varied musical influences, genius live instrumentation and the latest in music technology. As Electronic Musician described, STS9s music an eclectic stew of electro-acoustic pop, funk, drum n bass, hip-hop, ambient, dub and, and more integrates rhythm-section instruments with samplers, drum machines and soft synths. This unique blend of musical angles has earned the band and its music numerous features on television and radio, notably CSI and NPRs All Things Considered. Another benefit of STS9s incredibly diverse music is the artists who want to share the stage with them. The past year alone has seen such acts as Jurassic 5, Tortoise, Digable Planets, RJD2, De La Soul, The Brazilian Girls, Prefuse 73, John Butler Trio, Blackalicious, G. Love & Special Sauce, Saul Williams, Soulive, Cut Chemist and Xavier Rudd perform with STS9 across the country.